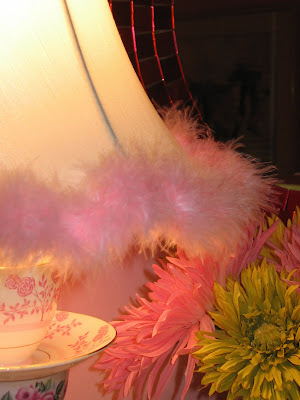 Recaptured Charm: Sweet Pink Tweak! But enough about that... while browsing I saw something to add to Jess's bedroom lampshade. So cute! Oh... and its PINK! very very nice...but how did you drill holes for the wiring ? btw, just happened on here through a link on craigslist...is the item still available ? I'm sorry the vanity just sold tonight! How did I drill the holes? With LOTS OF PATIENCE...(and a very good diamond drill bit). 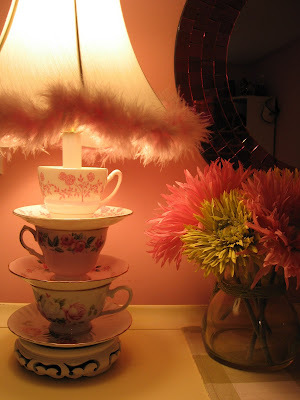 I make these tea cup lamps as well if you are intersted. I found your blog through a google image search. I was looking for chandeliers and it linked me here. Nice blog! I've looked at everything. 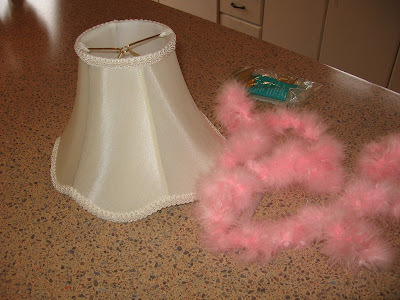 that chandy is so cute!